This was a low key affair, intimate like a night club gig yet held in one of the best symphony halls in the UK. The start time was pushed back by 30 minutes, no intermission and it will end at 9.30pm. A small set piece was laid out: fullest of drum kits, numerous keyboards, 4 chairs for violins and cello ready for the The Kronos Quartet, 2 guitars, piano and the obligatory Apple laptops. High up was a not too large screen but big enough for the 3 quarter filled hall. Short, to the point introduction by the cellist and with lack of fanfare, a black jeaned, t-shirted and bespectacled Clint Mansell strode onto centre stage. After rapturous welcome applause Mansell said it had been 11 years since he had been home in Birmingham. Even though he now lives in L.A. it was comforting to find he had not lost any of his home accent. Without any ado he said this is ‘Noah’ which kick started huge speakers into action. It was exciting and I immediately vowed to revisit this score when I got home. It was accompanied by random scenes on the screen that were designed to displace – a stag in the night. A child’s eyes. Fox in a den, a watery eye. Mansell talked about how scoring had change his life and told us all ‘don’t be afraid of change’ and then introduced the next piece of music which not only launched his film music career but was also the directorial debut of Darren Aronofsky – the 1998 film Pi. The video images became stronger including ants and snakes. Mansell played the synth, rocking back and forth gently. He later went on to play electric guitar. Mansell was very friendly and shared his journey towards scoring recalling an hilarious story about when ‘he got a call from Madonna’ to score a movie she had just made. He genuinely seemed to be in awe of meeting her and how his career was moving. He then introduced his music to Moon  likening it to the isolation you could feel in sprawling Los Angeles. Visuals here were vast land and skyscapes. I should note that he simply introduced each piece by the title of the film and not specific tracks the next one being the recently released High-Rise, a score I am already in love with so it was very cool to listen to some of it live. More chat and this time it was about a film which had a pre-release at the Mac [Birmingham] which went on to change the course of his life – another Aronofsky film, Requiem For Dream. This produced some whoops and cheers from the audience, Lux Aeterna being somewhat of a Mansell anthem. Live it was fierce and edgy, bursting out of the speakers. Further evidence if him not loosing his roots was his reference to all the places he had played when in the groups Eden and Pop Will Eat Itself, including the Villa Leisure Centre. It was clear by the audience reaction that he had some die-hard fans from those days in the hall. Next was Black Swan with it’s serene beginning spiraling into electronic confusion, loved it! All too quickly he was thanking us all for coming and with that he played out with Death Is The Road To Awe from The Fountain . During the course of the concert he mentioned twice that people may not’get his’ music. To me if you push aside the traditional routes of film soundtrack scoring, let go and totally immerse yourself in the Mansell sound you will not be disappointed. Live and loud it was truly a thrilling experience. P.S. Mansell turned down the Madonna film. 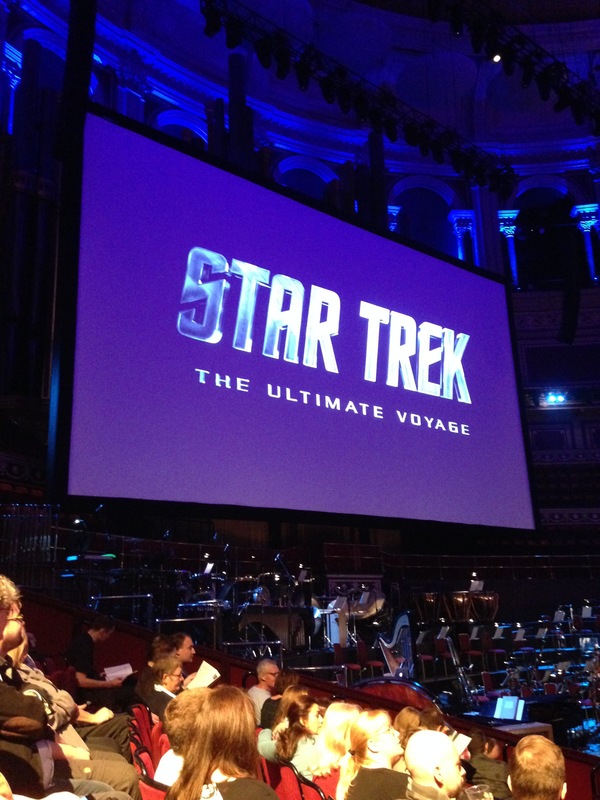 There are not many concerts where you can hear Jerry Goldsmith, Leonard Rosenman, Michael Giacchino, James Horner, George Duning, Sol Kaplan plus a few other composers pieces all in one [magnificent] concert hall but that’s what one of the most successful tv franchise can give. 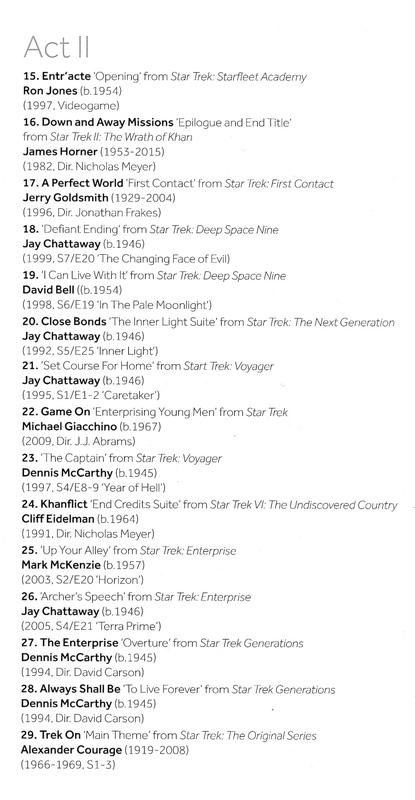 Star Trek has garnered some best of the best composers for not only the tv series but also the many film spin off’s. This was as billed, the ultimate voyage with full orchestra and the most meticulous editing of clips shown on a 70 foot screen. 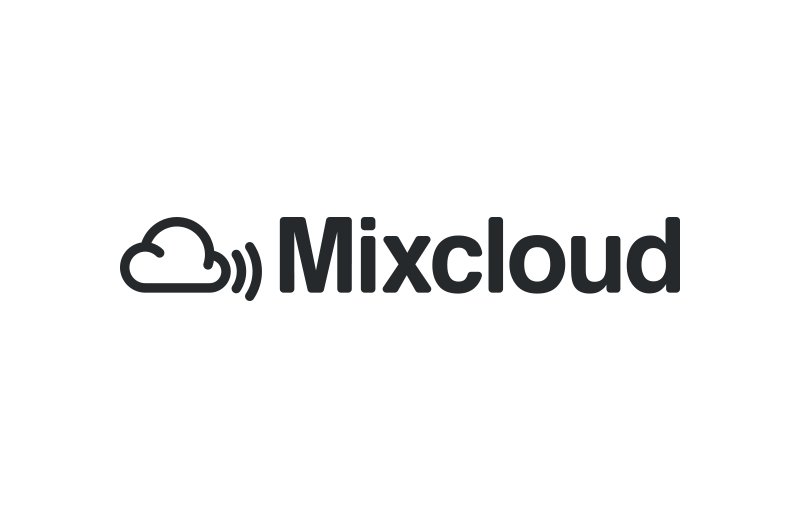 This fast spreading entertainment format is giving a new platform to film music as we know it and it’s exciting! The first thing I noticed as I took my seat is that I was way underdressed. There was a sea of red, black and yellow varying Star Trek uniforms, and to top that someone [in costume] walked toward his seat shouting the most perfect Klingon though I couldn’t actually tell you what he said. The hall was packed, the lights dimmed and without intro or fanfare we were off with Jerry Goldsmiths Main Title from Star Trek:The Motion Picture. As the screen fills with images of space the voice of William Shatner booms out telling us about the importance of ‘steering the ship’ brilliantly setting the theme of exploration. One of my favourite cues from the first Trek film is Klingons, being played live it sounded more threatening than ever. 2 B Human is a sweet piece from S.T Insurrection and was played against Spock and Data taking about the choices they made. We meet surely the biggest threat to the intrepid crew ever – the Borg, in ‘Captain Borg’ from S.T. First Contact dark and fiendish cue. One of two real treats came as Ron Jones took over the baton and conducted the orchestra with his compositions for tv series 3/episode 26 called The Best of Both World Part and received glorious applause from the die hard fans. James Horner’s Epilogue and and End Title from S.T.2:The Wrath of Khan had a comic turn as one of the ‘effects’ within the music was a percussionists spinning round one of those hollow, plastic tubes which children play with – magic! For me the only piece which didn’t sit right with the rest of the programme was ‘Defiant Ending’ from Deep Space Nine. It sounded really out of place. The second treat was in the form of composer Jay Chattaway this time taking the baton to conduct his composition Close Bonds:The Inner Light Suite from S.T. The Next Generation, a very poignant cue set against clips of crew mates from various S.T. tv shows and films. And it neatly ended with ‘Main Theme from Star Trek: The Original Series’ with a montage of clips and photo’s including Gene Roddenbury, the models & costume makers, make up artists and off set pictures. With bongo drums being played to the hilt this was a thrilling end to the journey and the audience went wild! The precision of such a concert is mind blowing, the editing of each segment having to match the timing of the orchestral piece. It’s a marvel and certainly opens up a new and exciting way to listen to film music. Here is the full playlist taken from the excellent Programme Guide crammed full of photo’s and essays to keep all Trekkies happy. A couple of strange looking guys I met before the concert! 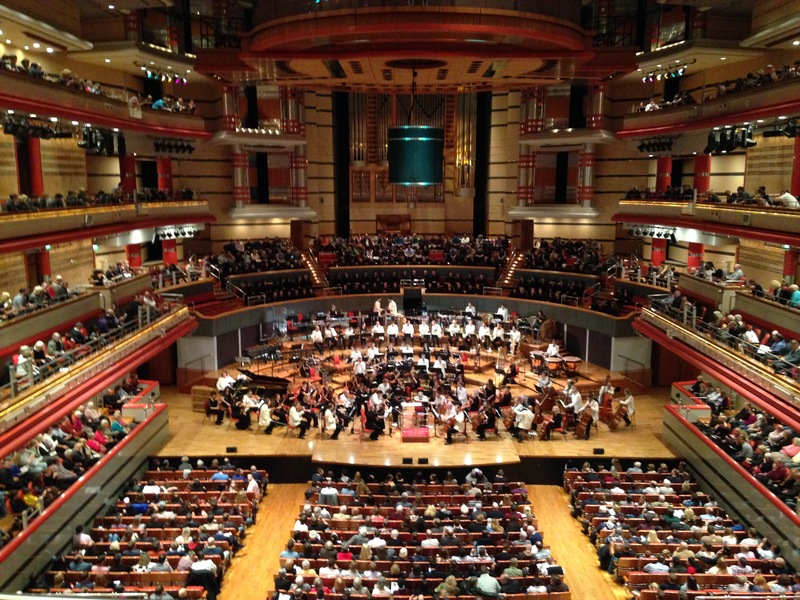 The hall was pretty much full when the white dinner jacketed Birmingham Symphony Orchestra took their places followed by the 90 strong chorus seated on a raised balcony above them. The lights dimmed, someone from the audience shouted an enthusiastic ‘yes’, then we heard the voice of Tim saying the immortal line:- ‘A long time ago in a galaxy far, far way …. and we were off with the 20th Century Fox Fanfare followed by one of the greatest film themes ever ‘Star Wars’. Surely everyone knows this tune note for note? Flag Parade from The Phantom Menace – has such a historical aura to it which goes in line with George Lucas wanting the score to have a classic ‘Hollywood’ feel to it. The luscious strings from Anakin’s Theme and the comedic tones and timing of Adventures of Jar-Jar Binks. Duel of the Fates opened with terrific vocal force from the choir and made much use of the percussion section. It was absolutely thrilling! Onto one of the most hummed pieces in film music history, The Imperial March – after playing this Marc made sure that the percussion section got a round of well deserved applause. And then the oddly out-of-place fun track The Cantina Band which harked back to Williams jazz days. Another stand out track was Princess Leia’s Theme. 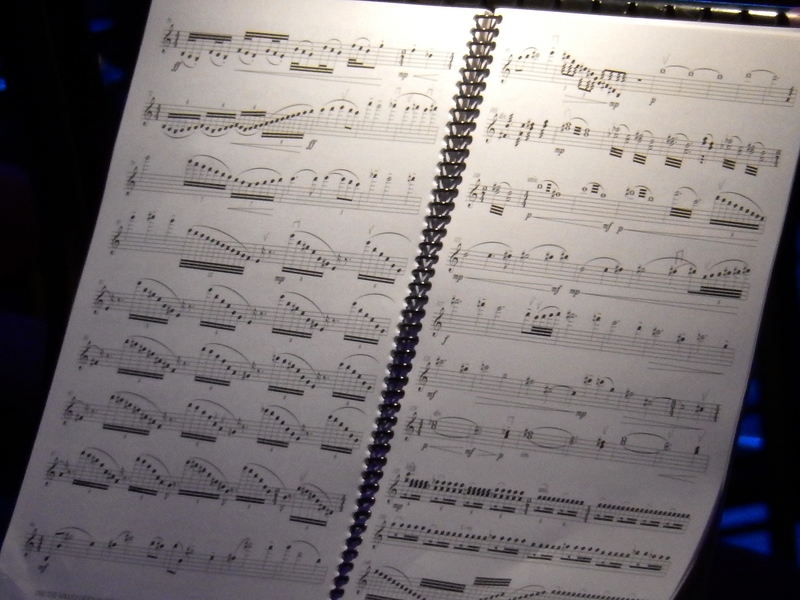 A superb character cue which is beautifully symphonic. This was followed by another well-known cue, Throne Room played with such vigour by the BSO. As Silk said afterwards ‘it’s goose bumps all the way”. He also introduced the next track saying ‘from the best Star Wars film EVER. 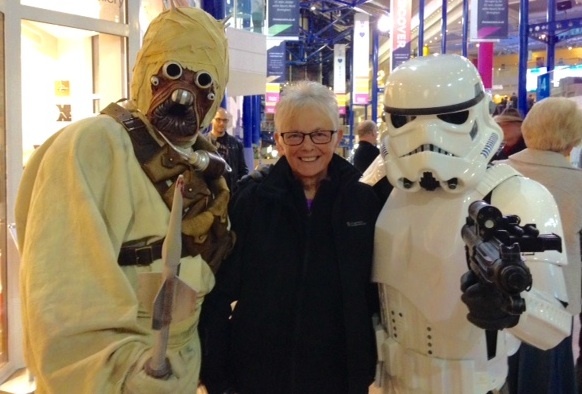 The Empire Strikes Back’ which the audience seemed to agree with as we launched into The Asteroid Field. Parade of the Ewoks was fun watching it performed live and I think the strange percussion I saw played was Glockenspiel bells [I may be wrong here!). The end came way too soon and Silk said he hoped we had enjoyed ‘an extremely joyous evening of music’ … yes to that! He also gave well deserved praise to Tim who pulled the concert together. The last track was a treat as it is rarely performed live and we were treated to The Forest Battle from Return of the Jedi. Thankfully we did get an encore, a second sounding of the Star Wars Theme, of course! One other mention I need to make is the extensive programme notes, these no doubt made the fans happy. 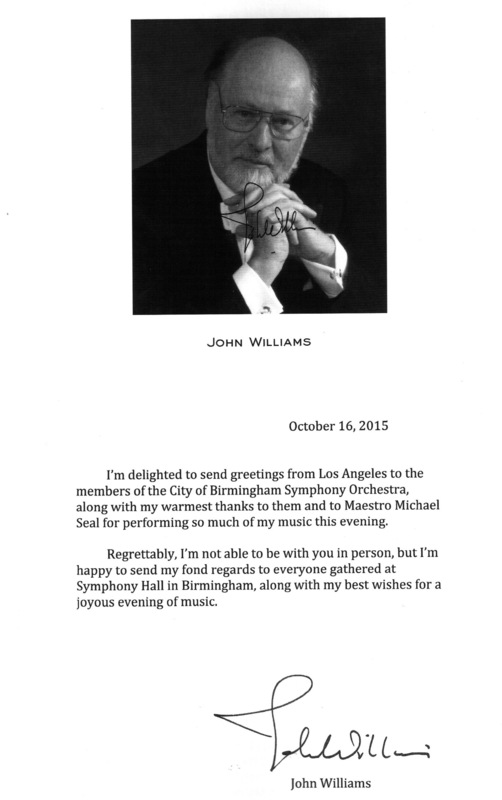 It also included a letter [below] sent from John Williams sent to the BSO and it’s conductor Michael Seal. I just wished it hadn’t of all happened in the blink of an eye! Episode 4: A New Hope Here They Come! Inside the cavernous, 80 year old red brick building of Coventry Central Hall, the Methodist Church and Community building in the centre of the city, is the Main Hall. 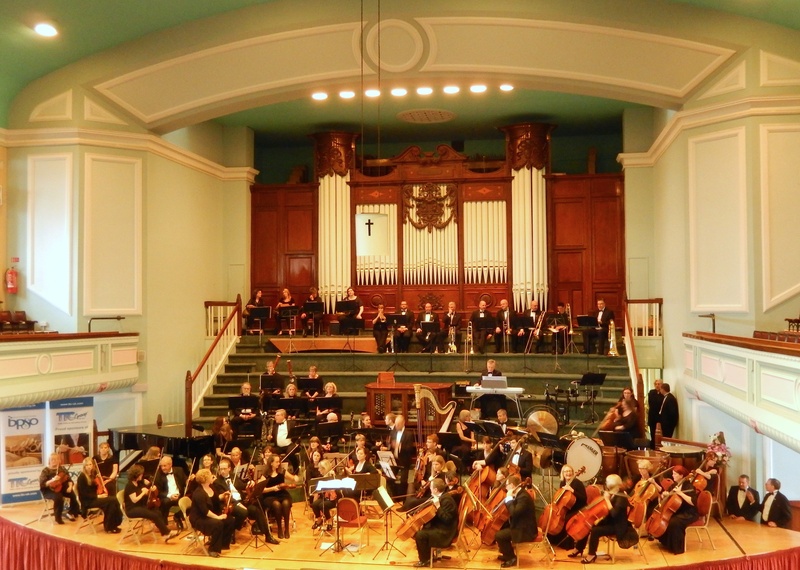 In this large, sturdy concert hall complete with balconies and it’s own organ, sat the 67 musicians who make up the British Police Symphony Orchestra tuning up to perform an ‘evening of classical favourites’. This unique orchestra is made up from police forces across the UK, either serving or retired they give their time to put together concerts. Their Chairman Mike Cunningham is Her Majesty’s Inspector of Constabulary, and this evening’s concert was in aid of Tiny Tim’s Children’s Centre also in Coventry. A registered charity it provides many free treatments to children with disabilities and special needs. 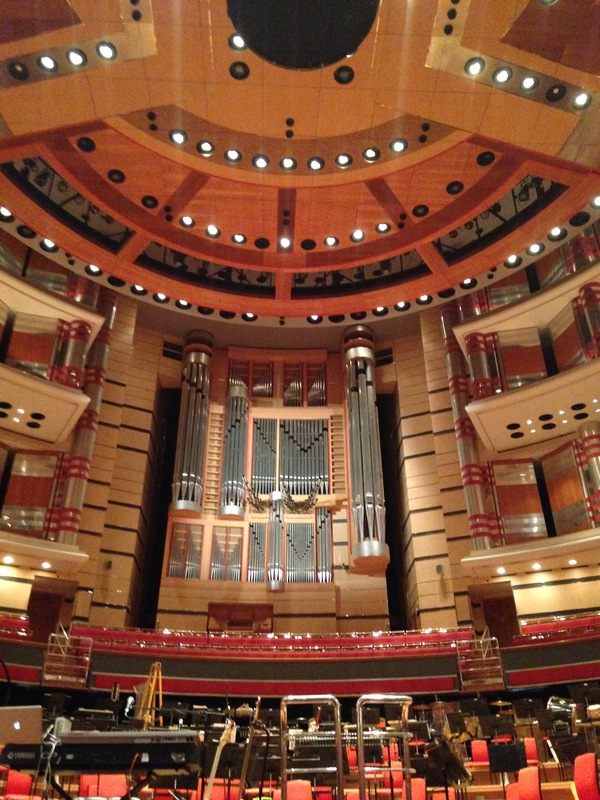 It opens with the dramatic Fanfare for the Common Man [Copland], and was played in all it’s glory under the ebullient conductor Richard Jenkinson, who was previously appointed by Sir Simon Rattle as principal cellist with the City of Birmingham Symphony Orchestra. 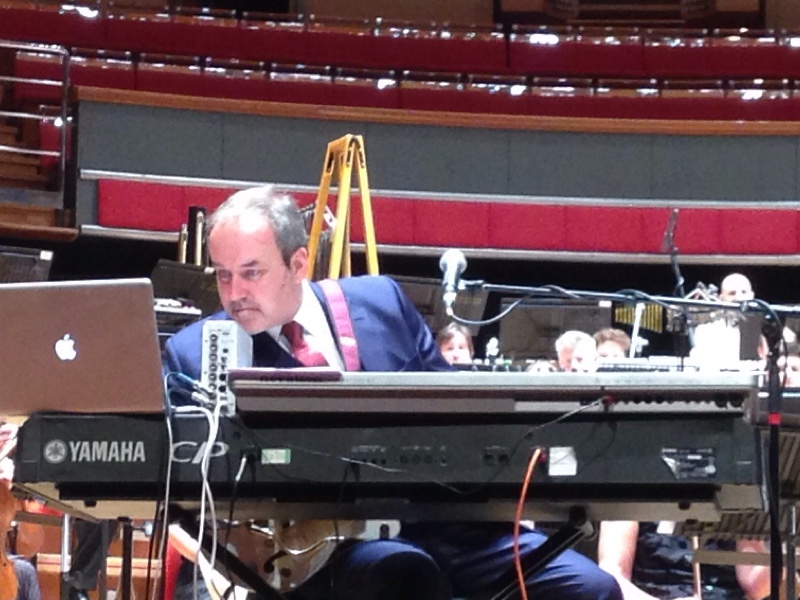 He is also the orchestra’s Musical Director. This was followed with a beautiful rendering of Adventures on Earth from John Williams soundtrack to ET. They captured the emotional rollercoaster of Williams master score so well that at one point my throat wobbled! The theme of music-in-film carried on with Adagietto [Movement 4 from Symphony No.5] by Mahler, an astonishingly difficult piece with it’s almost silent beginning, here they captured the emotional scope very well. The evenings compere was Martin Dougan, a regular presenter on CBBC Newsround. He was very audience friendly who knew how to get a response. He asked if anyone knew what film the Mahler piece was use in, and I am embarrassed to say, along with others, we shouted, rather loudly from the balcony, ‘Death In Venice’! After a Delibes piece came the Adagio of Spartacus & Phyrigia [Khatachurian]. 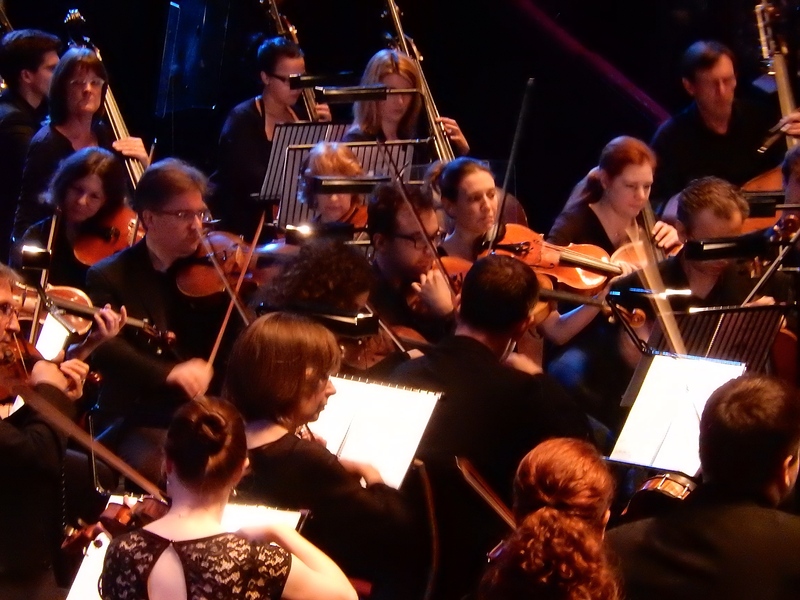 The orchestra builds up to the tremendous crescendo with such relish you can almost feel the sea spray as you were transported to the TV series of the shipping saga The Onedin Line. Here the strings flowed beautifully and the percussion was right on cue. Apparently this piece has also been used in 2 of the Ice Age animation films. We were taken up to the interval with the Light Cavalry Overture. The second half began with Fanfare ‘Antiphony’ [Chapman] and the elegant Crown Imperial [Walton]. Onto one of the stars of the concert, the majestic Nimrod by Elgar, played so beautifully it could not fail but to move you. Onto what I had been waiting for the James Bond Medley [John Barry]. The orchestra played the 007 theme with much gusto. The medley was sadly quite short with For Your Eyes Only, Live & Let Die and Goldfinger where the slow, sleazy note by trumpet with hat, was done to perfection! Just before the end of the concert a gift was given to viola player Graham Hayden who is also a therapist at Tiny Tim’s. He worked hard marketing the evening and a fine job he did too. It was a very poignant moment as 3 young children, obviously recipients of treatment at the centre, came down the isle to do the presentation. This brilliant set ended with a return to John Williams and here the strings triumphed as did the brass section with, Imperial March, Yoda’s Theme, Throne Room and End Titles. This is an orchestra which enjoys itself, you get the sense that they are close knit regardless of how far apart they work and live. Though they looked a tad squeezed together on stage and the brass section in particular was somewhat separated from the rest by being up a short flight of stairs to the back on a high platform virtually looking down on their fellow musician – a quartet of female French horns players right across to a rather fine tuba glistening under the lights, – they were a cohesive and fun group. Under the baton of Jenkinson they soared as well as delivering the emotion and heart of each piece. 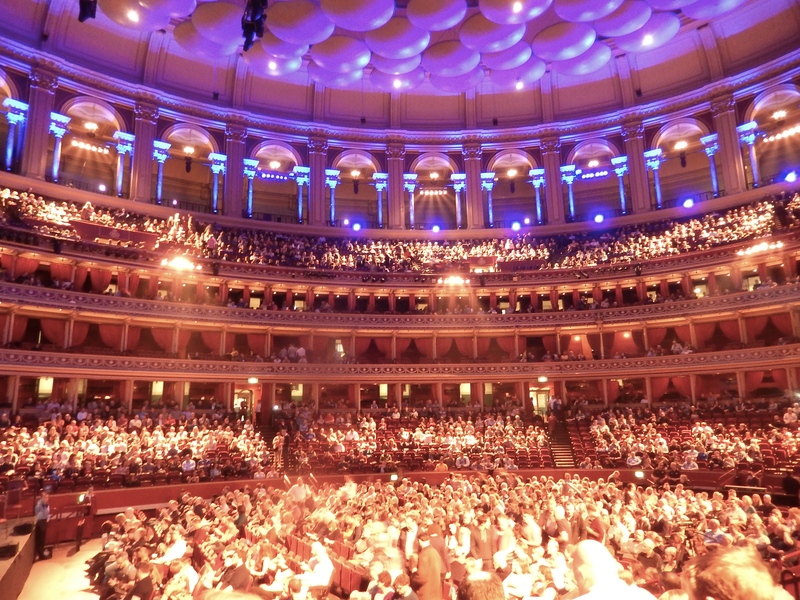 This was a cracking night out in an incredible hall with superb acoustics, raising money for a good cause and all we had to do was sit back and listen to an exciting orchestra who played to thrill.